The new book “Birds in Our Lives,” published by the U.S. Department of Interior’s Bureau of Sports Fisheries and Wildlife, was presented to the Annie Halenbake Ross Library in Lock Haven more than 50 years ago. 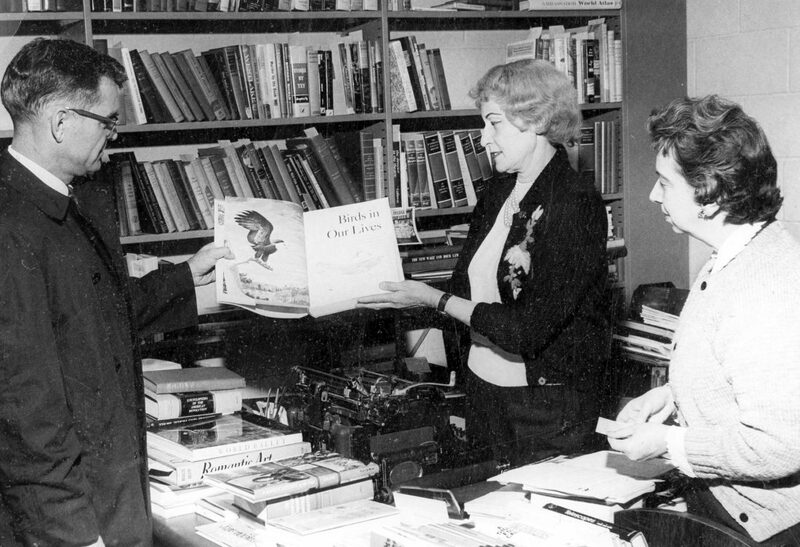 Joseph A. Boccardy of the National Fish Hatchery at Lamar presents the volume to Mrs. Isabel Corson, center, and Miss Isabel Welch, librarian, seen in the library’s work room. The book cites more than 850 species of American birds and tells how they have affected civilization in the United States. This Express photo first appeared in your community newspaper on Dec. 9, 1966.